For more information go to Donations page. Saturday, April 20th, Divine Liturgy @10:00am, followed by the Sunday School Lazarus Saturday Retreat. April 21st - Palm Sunday Divine Liturgy 10:00 am - annual Pancake Breakfast. Holy Wednesday, April 24th - Litrugy of the Pre-Sanctified Gifts, 7:00pm. Holy Thursday, April 25th - Reading of the 12 Gospels, 7:00pm. 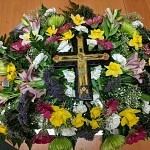 Holy Friday, April 26th - Royal Hours 10:00 am, Funeral (Lamentations), 7:00pm. Holy Saturday, April 27th - Baptismal Liturgy, 10:00am, Amy Lewis. Pascha (Saturday evening) - Nocturn, Matins, Liturgy, Beginning 11:30pm. Sunday, April 28th Paschal Agape Vespers - 1:00pm. Having accomplished the forty days for the benefit of our souls, we pray to Thee, O Lover of Man, that we may see the holy week of Thy passion, that in it we may glorify Thy greatness and Thine unspeakable plan of salvation for our sake . . . (Vespers Hymn). The mystery of holy unction provides both physical and spiritual healing with holy oil blessed by the Holy Spirit. It is most commonly celebrated during Holy Week on Holy Wednesday evening, but private services are also common. Everyone in the parish in good ecclesiastical standing may be anointed with the holy oil for the healing of spiritual and bodily ills. As this is one of the sacraments of the Orthodox Church, it may be administered only to Orthodox Christians. Holy Thursday begins with the celebration of vespers and the Divine Liturgy of St. Basil, in representation of the earthly presence of Christ realized at the Last Supper. In the evening, anticipating the Matins of Friday morning, the Holy Passion service of the reading of the Twelve Gospels is conducted. In these readings Christ's last instructions to his disciples are presented, as well as the prophecy of the drama of the Cross, Christ's prayer, and his new commandment. Great and Holy Friday begins with reading of the Royal Hours leading up to Vespers of Friday afternoon, at which time the removal of the Body of Christ from the Cross is commemorated. The priest removes the Body of Christ, the Epitaphios, from the Cross, wraps it in a white cloth and carries it into the altar. In an evening service, called the Lamentations at the Tomb, the priest carries the Epitaphios, the painted or embroidered cloth representation of Christ, from the altar around the church before placing it in the Sepulcher, a bier symbolizing the Tomb of Christ. This procession, with the faithful carrying lighted candles, represents Christ's descent into Hades. 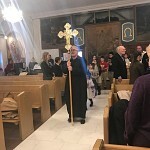 Great and Holy Saturday Vespers and a Divine Liturgy of St. Basil are served, marked with readings of Psalms and Resurrection hymns that tell of Christ's descent into Hades, celebrated as the "First Resurrection" of Adam and the conquering of Death. It is appointed by the typikon to be celebrated in the afternoon, though it is served in the morning in many places. This service comes from the ancient liturgical tradition of the Church of Constantinople and was its primary Paschal service. The hymn "Arise O God" from the Psalms was the original primary Paschal hymn before "Christ is risen" came to take its place. Its place as the ancient Constantinopolitan Paschal celebration is what gives the service such a bright and resurrectional character. Pascha, the Feast of Feasts, celebrations begins just before midnight with the singing of the Odes of Lamentation as the Resurrection Vespers begins with the church in complete darkness. As midnight approaches the priest taking a light from a vigil light within the altar passes the flame to the faithful for their candles while singing "Come ye and receive light from the unwaning life, and, glorify Christ, who arose from the dead." Then the priest leads the faithful out of the church in procession. After circling the church either one or three times, as the procession nears the entrance door of the church, the priest leads in the singing of the hymn of Resurrection. "Christ has risen from the dead, by death trampling upon Death, and has bestowed life upon those in the tombs!" 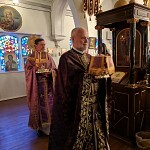 At this point the priest and faithful enter the well-lighted church for the remaining part of Vespers and the breaking of the fast with the Divine Liturgy. Our new page on Discussions is now available and accessible here . To access from navigation menu please click on Media then Comments link. This is a great way to interact, suggest ideas, express your concerns and raise issues you think need to be discussed in our community. For everyone who shops on Amazon this is a great way to support our parish! A sheet is posted in the side vestibule. Father Brooks intends to visit on Thursdays and Saturdays. Please pick a date and time and sign up. If you notice someone has signed up on the same date but lives far from you, please pick another date. As always if you are unable to schedule a visitation on Thursday or Saturday, Father Brooks encourages you to contact him directly 215-563-0979 or email fr.brooks to schedule an alternate date. 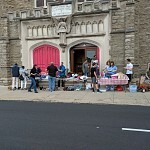 thanks all of our parishioners who made donations for our “Take up Your Cross Drive” to help the homeless in our area. It was a very successful day. Many people were given clothing, toiletries sandwiches, cookies and water. Thank you to our adult volunteers and Sunday school students who helped out. 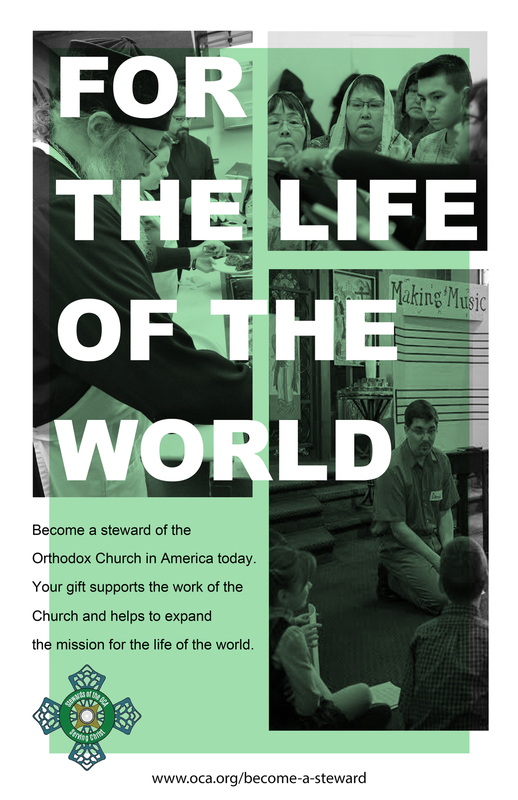 Father Brooks will be presenting a series of "Reflections of an Orthodox Priest" over the next few months. To learn more, please visit our Pastor's Corner under Publications tab on navigation menu. If you have something you would like Father Brooks to write about please contact him Fr.Brooks with your suggestions. Click here for monthly overview. His Beatitude, Metropolitan Tikhon offers a series of reflections on the themes contained in the Triodion hymns sung on Tuesdays of each week during Great Lent. Each reflection, running a few minutes in length, will be posted at the beginning of every week of the 2019 Lenten season. On March 2, 2019, the Orthodox Church in America released a video in which His Beatitude, Metropolitan Tikhon, introduces his guiding framework for the Church. The Nick Naum Scholarship Fund provides assistance to parishioners who attend St. John CHrysostom Albanian Orthodox Church and to members of the Naum Family. Visit the new Podcast under our Media button on nvigation menu. Helping people is a universal principal and we hope you will consider making a donation regardless of your faith. The church is deeply appreciative of any sum, no matter how large or small. 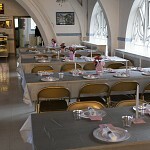 Please help support the ministries and mission of St. John Chrysostom Orthodox church. Your Acts of Faith help us plan effectively for a brighter future. View activities, events and schedule your own coffee hour sponsorship and memorials from our new on-line calendar.